We’ve seen plenty of food trucks and even clothing caravans but, at least for me, Puck Cinema Caravana: The Smallest Cinema on Earth, is the first cinema truck I’ve encountered. 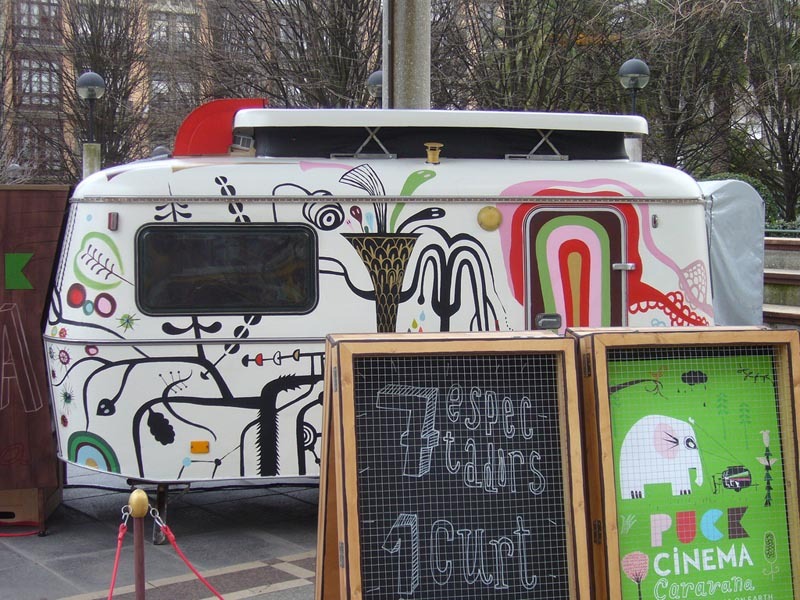 A colorfully painted trailer that acts as an ambulatory theater showing short animated films, Puck opened in the summer of 2009. 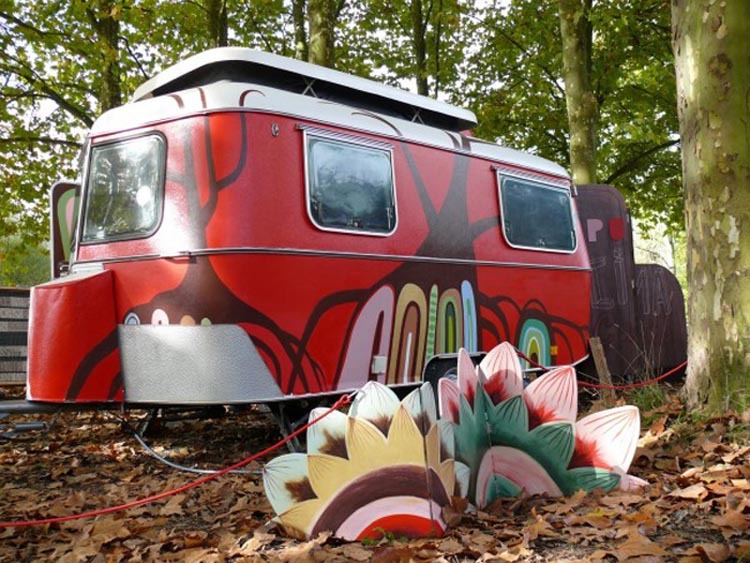 Founders Toni Tomas and Carles Porta created the mobile cinema in Bellpuig, Spain. They pride themselves on showing rare animations, some, I believe, created by Carles Porta himself with the help of Ruben Hengesbach. All photos by Carles Porta. This entry was posted in Film, Fun, Interaction Design, Street Art, Stuff We Like. Bookmark the permalink.